The Avengers have been a team with a wide-ranging membership. For many years, certain heroes (Spider-Man, Hulk, Daredevil, Dr. Strange, Iron Fist) were not considered Avengers-type heroes, but they eventually joined the line-up and there became more and more teams like Dark Avengers, New Avengers, and Secret Avengers. It now seems like most major Marvel characters not on a different team have at some point been Avengers. However, there are some characters that most fans will not realize were in the Avengers line-up. These characters usually fit into one of two categories: (1) so obscure as to be forgotten and (2) more well-known but only briefly Avengers. So let’s look at five characters ranging both categories – 5 characters you probably didn’t know were Avengers. There may not be a more appropriately named character on this list than The Forgotten One. However, he was also a member of the once highly-regarded group the Eternals and created by none other than comic legend Jack Kirby (along with Mike Royer). A very powerful being that has lived for centuries, The Forgotten One at one point came to New York and joined in a restarted version of the Avengers, with the somewhat-unusual lineup of Mister Fantastic, Invisible Woman, Thor, and The Captain (Steve Rogers in U.S.Agent costume), in Avengers #300. He took the name Gilgamesh but he didn’t last as an Avenger for too long, as he was taken to Olympus after a few issues following severe injuries. You don’t generally think of Western characters when you talk about the Avengers’ roster. 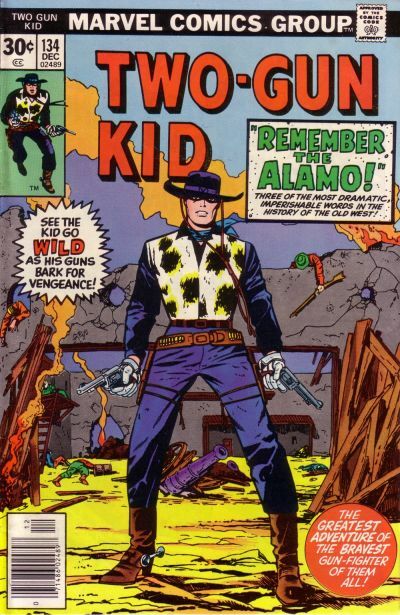 However, for a brief time, the Two-Gun Kid was an Avenger. That would seem a difficult feat considering The Two-Gun Kid (aka Matt Hawk) was active in the 1870s. However, when the Avengers were battling Kang, the time-traveling villain, they wound up in the 19th Century. Two-Gun Kid helped them against Kang and then accompanied the team back to their modern time, briefly becoming a reserve member before returning to the 19th Century. He later came back to modern time and formed a partnership with She-Hulk, though he didn’t rejoin the Avengers line-up. Silverclaw, whose real name is Maria de Guadalupe Santiago, was born into poverty in Costa Verde in South America. She was fortunate to be a child sponsored through charity by Edwin Jarvis, the Avengers’ butler, and she developed a friendship with him. As she grew up, Maria dreamed of visiting the United States, and eventually traveled there to visit Jarvis. However, her plane was hijacked and she was forced to use her powers against the Avengers. When she explained her situation, the Avengers forgave her and supported her. After studying at Empire State University, Silverclaw was given reserve membership for a time to the Avengers, while the series was being written by Kurt Busiek. Later, during Civil War, she fought against Ms. Marvel while opposing the Superhero Registration Act. Silverclaw has not been especially visible in the recent years at Marvel. Justice isn’t a totally obscure character but he’s not exactly a household name, even for comics fans. He is a mutant who is mostly known as a founding member of the New Warriors. 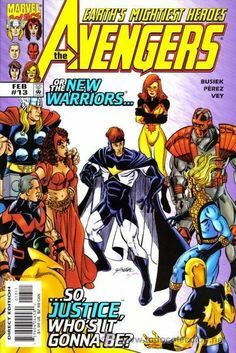 Initially, operating under the name Marvel Boy, he wanted to be an Avenger but was denied because of his young age, so he joined the New Warriors. He soon changing his name to Justice following a family crisis in which he accidentally killed his father. However, he exonerated himself by serving as a hero and during the 1990s, both Justice and his New Warriors teammate Firestar (more commonly known from the Spider-Man and His Amazing Friends cartoon) became full-time Avengers. Justice proved himself in battles against Ultron and Kang but later left the team. He was mostly recently seen in the rebooted (and re-cancelled) New Warriors series written by Chris Yost. William Baker, who usually goes by the street name “Flint Marko,” is widely known as the super villain Sandman, having been shown in many animated versions of Spider-Man as well as the movie Spider-Man 3 (2007). However, many may be unaware that he was briefly a member of the Avengers. Following a series of defeats, Sandman decided to reform and use his powers for good. Though many were skeptical, Sandman seemed to legimately want to help people, and so the Avengers gave him reserve membership in Avengers #329 (1991). Unfortunately, the Sandman was soon brainwashed and turned evil again, leaving the team. Though he has switched sides a few times since, it would be hard to see Sandman again joining a team with a profile as high as the Avengers… though you never know! What do you think? Who is your favorite lesser-known Avenger? Add your picks in the comments section.